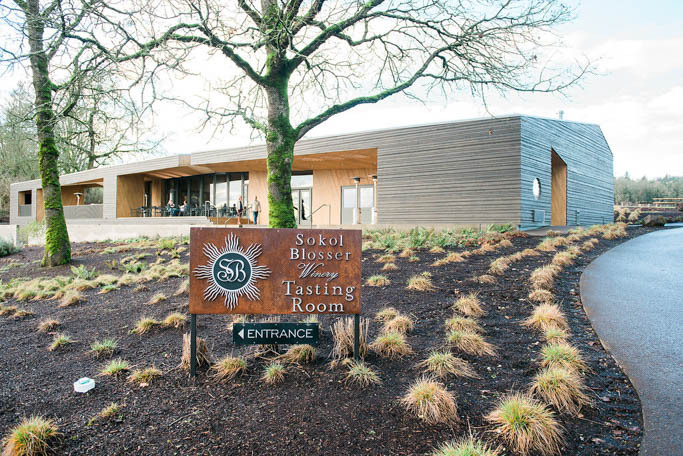 When you enter Sokol Blosser, you’re immediately greeted by the aroma of fresh cedar, it’s architectural beauty, and, if you’re in the Cellar Club, a glass of their Evolution sparkling wine. 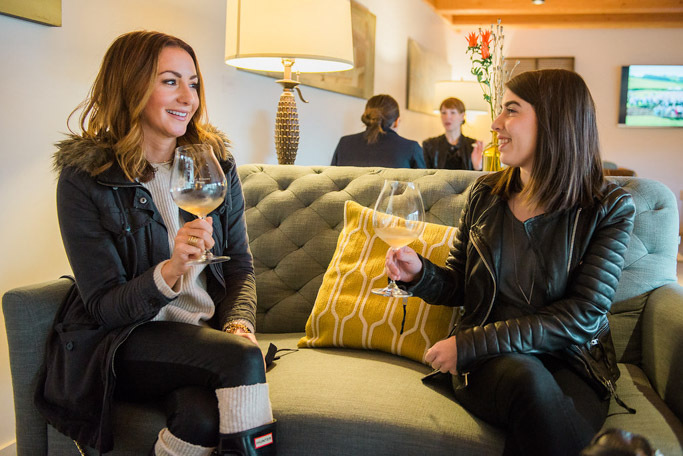 Located in the Dundee Hills, with vines surrounding you on both sides, it’s easy to imagine that you’re in a fancy treehouse of sorts… With wine. Really, really good wine. Rick and I have been members of Sokol Blosser’s Cellar Club for just over a year now. When we walked in to do some tasting, we had the full intention of not joining their wine club, because we were in 7 others already. But we were won over by the first sip of Rosé. And then, the wonderful, elegant Pinot Noirs. 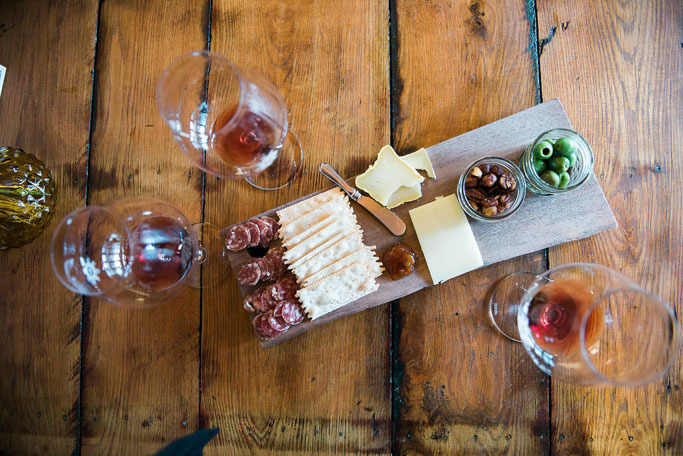 They have wonderful cheese plates for purchase to enjoy with your wine. But they welcome picnics as well. Be sure to pack one in the summer and enjoy the lovely views from their deck. And, be sure to check out my tips for packing the perfect picnic for wine tasting. The Chardonnay was equally delicious – Creamy, not over-cloying in any way, it finishes with a hint of vanilla. On to the Pinots – They are all fabulous! We were poured both the 2013 and 2012 Dundee Hill Pinot Noir. I leaned towards the 2013, as I typically do, preferring the lighter body to that of the 2012. I like to think of 2013’s as more feminine, while the 2012’s lean towards the more masculine, bigger, bolder style. 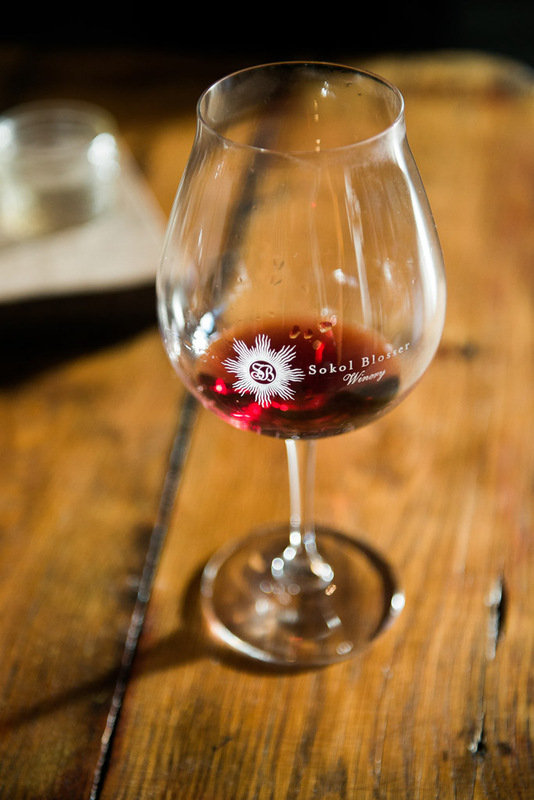 To finish things off, the 2012 Estate Cuvee Pinot Noir – This is a bottle you’ll want to hold on to. Woodsy notes mingle with big flavors of dark red berries. It’ll be amazing with a bit more age on it. 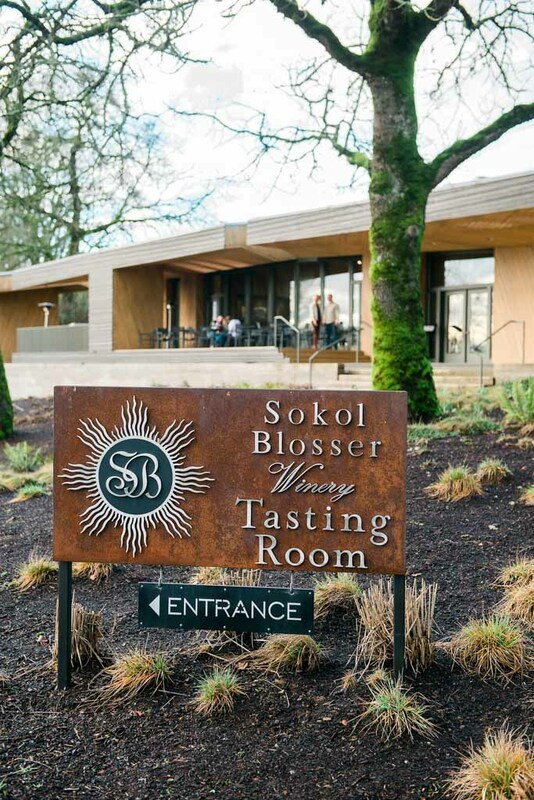 Sokol Blosser is located at 5000 Sokol Blosser Lane in Dundee, Oregon. The tasting room is open daily from 10am – 4pm, and it can get quite busy. Because of that, I suggest visiting on Sunday rather than Saturday (weekdays are even better), and early in the day. If you’re driving from Portland, they’re a bit on the far side of town, so it’s great to start with them and work your way back into the center of town. Tasting fee is $15. Interested in visiting other local wineries? Be sure to check out De Ponte Cellars, Alexana Estate, and Stoller. A special thanks to Portland photographer Deann Orr for the amazing photographs. Be sure to check out her site for more of her stunning shots. 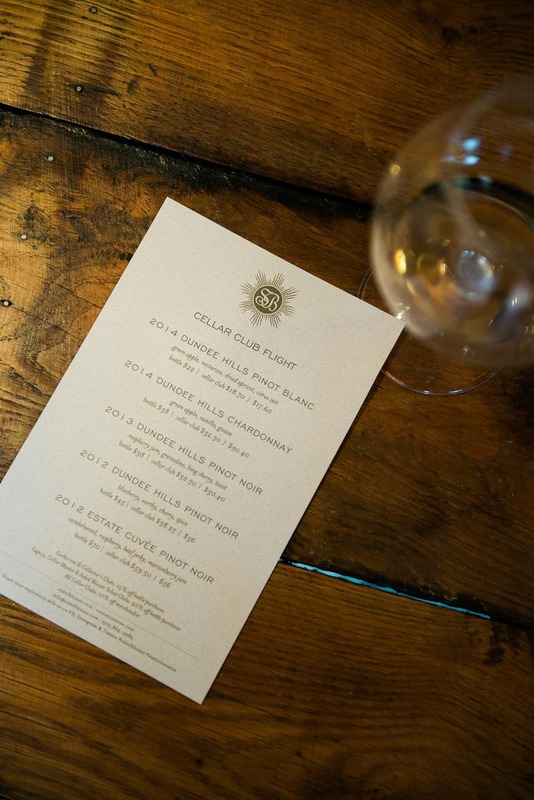 NOTE: I am a member of Sokol Blosser’s Cellar Club, and I pay for that membership out of my own pocket. I was not compensated in any way for this post. Love Sokol Blosser Evolution wines! Their cellar club room downstairs is so fabulous, but I love their entire structure and was so happy when they built this beautiful tasting room. I’ll have to try one of their cheese plates next time. Cheers! Their cheese plate is definitely a must try! The boards are handcrafted locally too – I want to take one home! I love Dundee! I have always wanted to stop here because the building is so gorgeous. Thanks for the reminder. 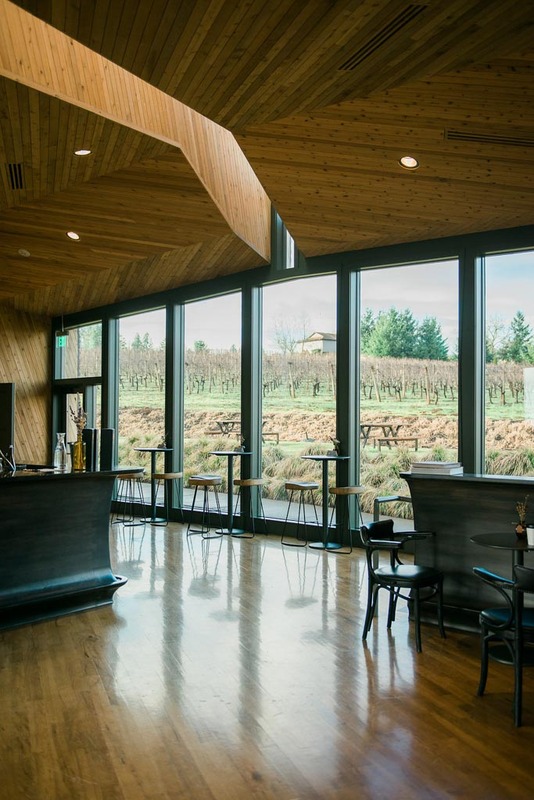 I’ll put Sokol Blosser on our itinerary the next time we’re out there. Isn’t it such a beautiful building Catherine? I absolutely love the sleek lines! I love Sokol Blosser so much. I often gravitate to their wines when shopping. A long time ago (before kids) we were club members to several different wine clubs, but now we are not. I think it might be time to get in on one again! 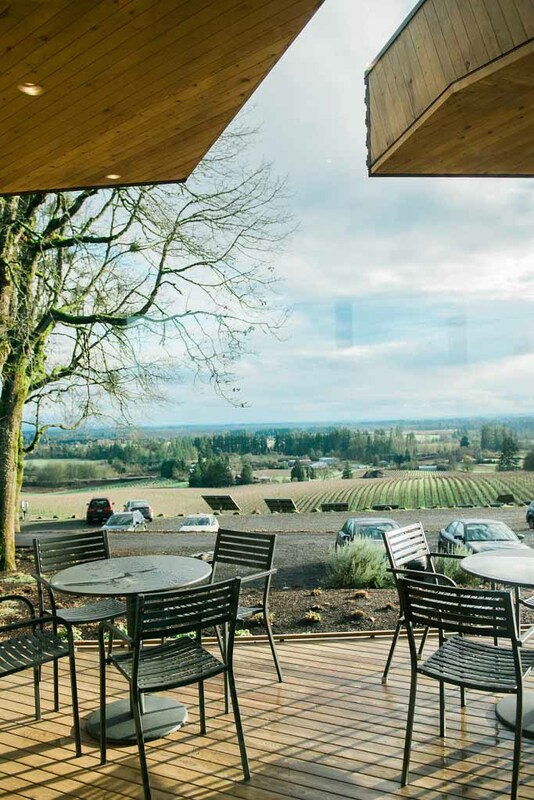 Sokol Blosser might be just the place too. 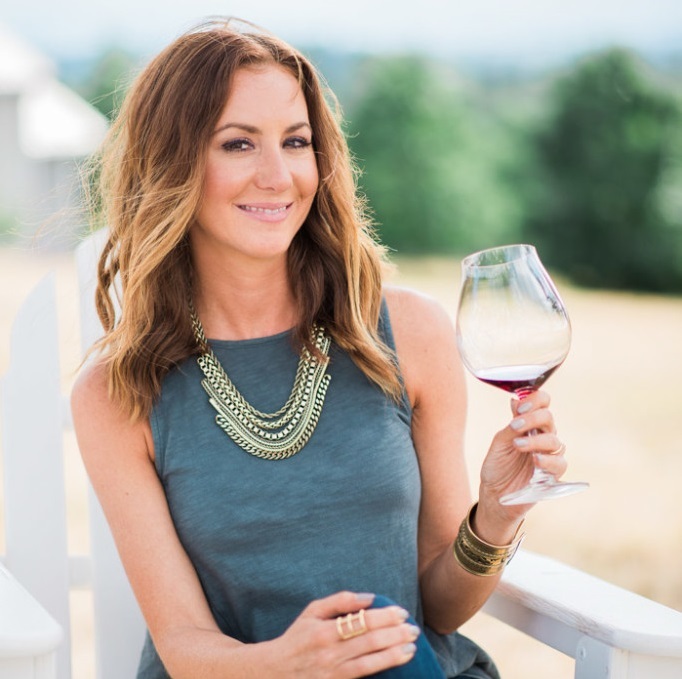 Sokol Blosser has an amazing wine club Jenni! There are special areas just for club members and kids are definitely welcome. 🙂 LOVE that Brettni! Isn’t it an amazing place? I still have yet to visit their (not so) new tasting room. Face palm. I promise to get out there someday. I looks gorgeous! It really is an amazing spot Mary! Beautiful!! !